Recently, director Sajid Khan has been accused of sexual harassment by three different women. The names include actor Rachel White, assistant director Saloni Chopra and a journalist Karishma Upadhyay. 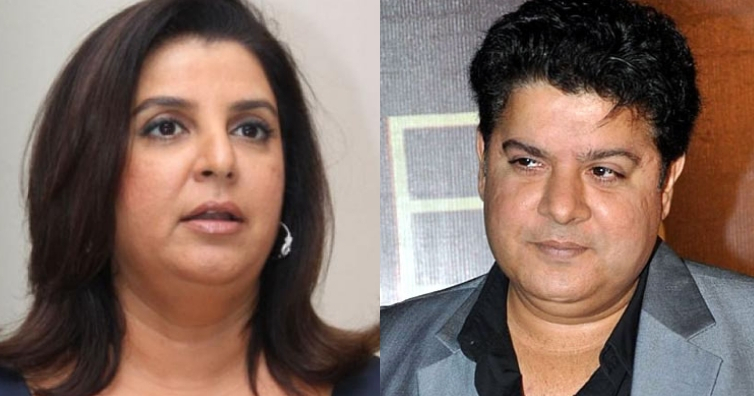 Now,Sajid Khan‘s sister, filmmaker and choreographer Farah Khan has come out in open to talk about this. Earlier, Farhan Akhtar also tweeted in the matter. He wrote that he is shocked and disappointed to hear about the serious allegations made against Sajid. Meanwhile, Sajid has stepped down as the director of Housefull 4 which stars Akshay Kumar, Riteish Deshmukh among others in lead roles.